In 2013, new indie developer Fullbright made a relatively big splash with their story-driven exploration game, Gone Home. Telling the tale of a young lady returning home to her family’s rural Oregon homestead, Gone Home was an interesting, and successful, twist on narrative focus in games. Fullbright followed up last year with a new addition to the genre in Tacoma, another story-driven exploration game that initially released on PC and finally made it to PS4 just this week. Tacoma’s story takes place in the year 2088. Entities known as hyper-corporations hold massive influence on daily life and government, including Venturis, owners of Lunar Transfer Station Tacoma. We immediately find ourselves in the shoes of subcontractor Amitjyoti “Amy” Ferrier as she prepares to dock with Tacoma to investigate an incident that killed all six crew members on board. Armed only with a data transfer device and an augmented reality (AR) set, it is Amy’s mission to determine what happened and salvage whatever she can. Tacoma’s setting is almost instantly gripping, as players move off their ship, through an airlock and into a surprisingly believable rendition of a futuristic zero-G space station. Nicer than anything we could possibly hope to build today, but still adhering to the laws of physics and thermodynamics, Tacoma’s accommodations are inviting but alien in the way that only things which are slightly off can be. Almost immediately upon entry we are greeted with the first of many recordings that form the backbone of Tacoma’s gameplay experience. 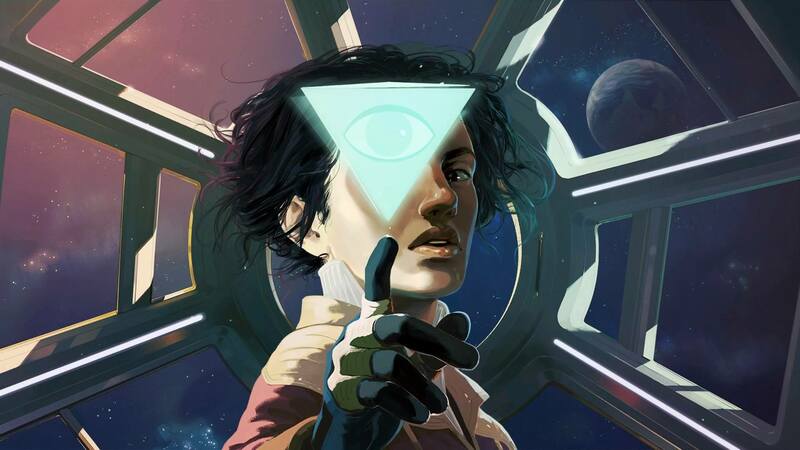 While Gone Home tasked players with examining household objects to unlock journal entries, Tacoma utilizes AR recordings captured by the station’s onboard AI, Odin, which play out in 3-dimensional space using holographic projections of the crew members. These recordings can be paused or searched through at any time using the fast forward and rewind features of your AR gear, and you’ll use these frequently to revisit certain sections of a recording, especially when they involve multiple parties having separate discussions in different rooms simultaneously. It’s a wonderful piece of simulated technology that allows Fullbright to craft more believable crew interactions than they otherwise could have, and also lets you examine recorded events from any angle, as you slowly try to piece together what happened and why. During various points in any recording, crew members will open up their own AR desktops (much like Minority Report’s holographic displays) to consult data or send messages. During these brief moments you can also download the data on their displays, giving you better insight into that particular character; not just what’s going on with them currently, but who they are as a person. How much you enjoy Tacoma’s story will depend largely on how well you relate to each of the crew, and in this regard Fullbright has done a great job of creating an interesting, complex and diverse cast of characters that all complement each other’s presence. Instead of ticking boxes on a checklist of necessary characteristics for NPCs, Fullbright instead aimed for organic storytelling through realized people. Over the course of the game’s (admittedly very brief) runtime, I became invested in these people because it actually felt like I was peeking into the life of folks who actually have lives, and not scripts. You’re not entirely alone when exploring the various compartments of the Tacoma. The station’s AI, Odin, is ever present to offer help or the occasional insight into things, though his demeanor seems at first oddly out of place, partly because Odin comes off a bit differently than most attempts at depicting complex artificial intelligence in games or movies. He seems more intuitive, but also aloof. Of course this is all by design and, through the course of the game, you’ll come to know Odin almost as well as any of the crew, as they rely heavily on him not just for day-to-day operations but even emotional and logistical support. The complexity of the characters in Tacoma, and the innovative mechanics behind exploring their stories, is what makes the game’s incredibly short length so frustrating. Just as I felt I was truly getting into the thick of the plot, I found myself at the end. While it’s true that good games always leave you wanting more, Tacoma really needed a deeper, more expansive third act than it actually got. It’s possible to finish the entire game in less than three hours, even if you check every recording multiple times, read every log entry and AR desktop, and examine every room for clues. Tacoma is not going to win any new fans who weren’t already interested in story-heavy adventure games, but if you enjoyed Gone Home, you’re likely going to find Tacoma a pleasant evolution of that narrative style with a few much needed improvements to the interactive aspects of the gameplay.